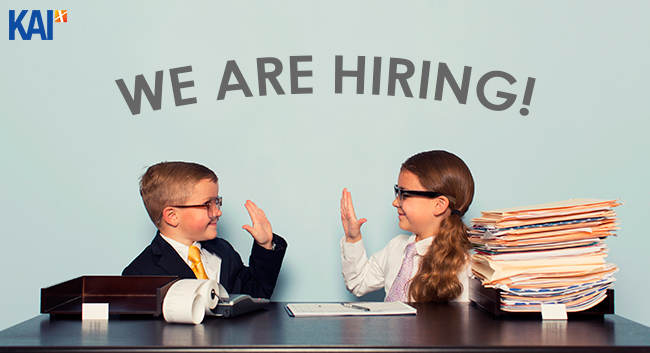 KAI Square is a rapidly growing company and we are looking for awesome people to join our team! All openings are based in our Singapore office unless otherwise stated. To apply for any of the jobs below, please email your resume, cover letter, expected salary, last drawn salary and availability to sandy.qin@kaisquare.com. Design and develop new video analytics solutions for applications including video surveillance, face recognition, etc, leveraging computer vision and machine learning techniques. Work closely with Video Condent Analytic Researchers (VCA) and with other teams on the design and implementation of the core module - the VCA program - for the company main product line. Design, implement and test VCA. Provide technical support during integration and testing. Conduct periodic codebase review to ensure quality, consistency and compliance of subsystems/modules according to the agreed architecture. Research and conduct workshops on up-to-date best practices and technologies. Minimum 3 years of experience in the design, development and maintenance of cross-platform solutions for high-performance, high-availability software systems. Passion and excellent knowledge of C++ and its ecosystem (modern C++ techniques and supporting libraries such as STL, Boost). Experience in template, multi-threaded, event-driven, signal-slot programming paradigms. Experience in the development, distribution and maintenance of software systems for both Linux and Microsoft Windows. Experience in configuring, building and redistributing of third-party libraries for embedded/Linux and Microsoft Windows. Experience with Computer Vision processes and algorithms, handling of video streams and streaming servers is a plus. QA Lead/ Test Lead Hired! Familiar with installation of software like Java, MySQL, MongoDB, RabbitMQ, etc. To apply, please email your CV, cover letter, expected salary, last drawn salary and availability to sandy.qin@kaisquare.com.